The Pull List: Batman, Brave and The Bold, Damnation, Maestros, Mighty Thor, Punks Not Dead, and more! 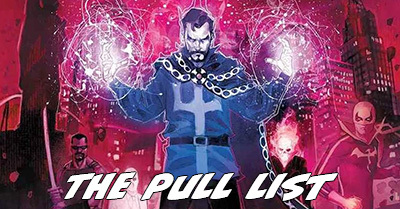 I know it seems impossible, but The Pull List has grown even bigger this week for the third week in a row! That’s because I finished catching up to present on a number of DC and Marvel books, plus I picked up five smaller press books. A bloody, thrilling, heart-rending comic. 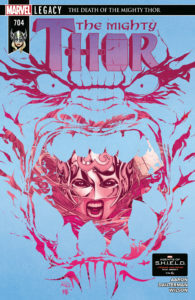 Aaron has somehow amped up the drama in each of the last three issues as we hasten towards a potential Ragnarok at the hands of the Mangog and Jane Foster’s death at her own hands if she takes up the mantle of Thor just one more time. Yet, beyond those looming disasters there is still Makelith’s war on the Ten Realms. Mangog is just one facet of that. Even in the dimness and tragedy, Aaron finds shining moments – Jane with her friend in the cancer ward, a father and son joined in battle, and a mother casting aside a snake that has wounded her before. All the while, Dauterman and Wilson are turning in a quality of artwork never seen before at Marvel comics – truly, one of the pinnacles of art at Marvel in over 75 years of publishing. This story has officially become the best Thor story in my eyes, and it just might be Marvel’s best longform story of all time. I’d place it alongside Mark Gruenwald Captain America and Chris Claremont X-Men at this point. 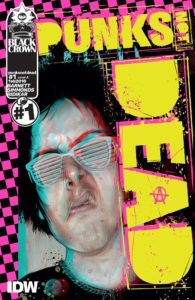 An utterly madcap introduction to Punks Not Dead (and, for me, to Black Crown comics, which are edited by Shelly Bond distributed by IDW). This book is part Injection, part Sid and Nancy, and a little dash of the more lighthearted issues of Sandman. It follows a teenage boy and his scam artist mom as the kid picks up some kind of supernatural echo of the deceased Sid Vicious in a dingy airport bathroom. Meanwhile, the beleaguered Department for Extra-Usual Affairs is busy putting minor demons out of the closet at 10 Downing Street with a staff of one. This book is funny, unique, and looks freaking brilliant. Artist Martin Simmonds is simply incredible, drawing a real-seeming Britain with amped up color and clever use of cut-and-pasted patterns to ground it in real, textured reality. I am in love with this book, and will not only be keeping up with it, but also checking out other titles from Black Crown. [Read more…] about The Pull List: Batman, Brave and The Bold, Damnation, Maestros, Mighty Thor, Punks Not Dead, and more! Crushing Comics S01E32 – Unboxing my October haul of DC Super Hero Girls, Shutter, Epic Collections, and more! Today is a *true* unboxing, as I unpack the contents of my October comics order from the states! Still no spiders in the mysteriously ratty mail bag (whew), but a few books I was hotly anticipating, two new Epics, and a pair of odd Marvel trades. Not a fan of watching videos – or just not able to watch right now? First, did you know you can speed up YouTube videos? Just click the little gear icon to change the speed settings. I know that makes me much more apt to watch. Alternately, you can keep reading for the full transcript. Please keep in mind that this season of videos is shot off the cuff with no chance to review the books ahead of time, so I might occasionally fudge some facts (usually addressed in the video by subtitles). [Read more…] about Crushing Comics S01E32 – Unboxing my October haul of DC Super Hero Girls, Shutter, Epic Collections, and more! Doctor Strange by Roger Stern is the #48 Most-Wanted Marvel Omnibus of 2017 on Tigereyes’s Secret Ballot. What’s it about? Should you read it? What issues does it include? Can you get them right now? Read on to learn the answers! And, visit the Marvel Masterworks Message Board to view the original posting of results by Tigereyes. What Is It? Roger Stern first wrote Doctor Strange (1974) with #27 in February 1978 and departed after #37 in October 1979. He later return for a longer run with #46 in April 1981 to #75 in February 1986. Stern’s lengthier run was marked by several distinct periods of Strange – one focused on his relationship to Clea, a second where his connections to reality proved to be a weakness to be exploited, and a third mostly comprised of one shot stories that ended with the resolution of the Clea relationship. The title would continue for another six issues until #81 under author Peter Gillis at which point Doctor Strange was relaunched as half of Strange Tales (1987), still under Gillis. Past Ranking: This volume debuted at #19 in 2014, disappeared in 2015, and returned at #28 in 2016. I think this omnibus is wishful thinking and would never be produced as imagined by voters, which would presumably contain Doctor Strange (1974) #27-37, 46 (b-story, 47-75 (though Stern doesn’t write #63-64 & 74), Chamber of Chills (1972) #3-4 (and maybe material from Fantastic Four #267-277 leading into #75). I’m happy to share The Definitive Doctor Strange Collecting Guide and Reading Order! It includes every Doctor Strange issue ever published with notes on trade-reading order and guest appearances. Agamatto-eyed readers may have spotted it last week, but as of today the guide is officially out of its beta-release phase and ready to help you collect Marvel’s most-famous mystic. This is the first of several new and revised collection pages I’ll be highlighting over the next few weeks; you can already see several of them in action in Crushing Comics. Doctor Strange was one of Marvel’s original Silver Age heroes, debuting in 1963 in Strange Tales, a title he split with Nick Fury. He is a brilliant-but-prideful surgeon whose career is ruined when his hands are injured in an accident, and in his quest to repair them he stumbles into the world of mysticism. Like Fury, he was one of the few freshly-invented Silver Age solo heroes not to be hoovered up by The Avengers. This was exploited by his inclusion in The Defenders, a team of relative outcasts that also included The Hulk, Namor, and Silver Surfer. 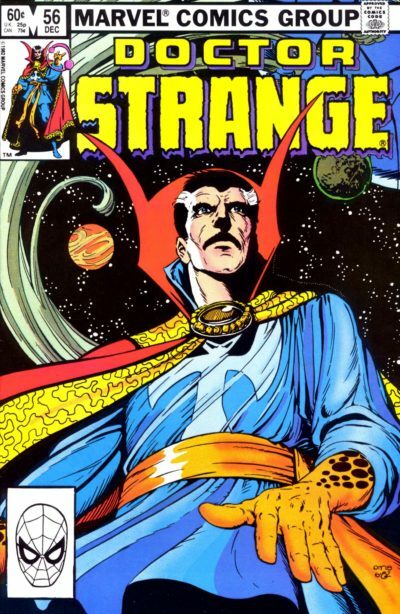 Aside from a brief blip at the beginning of the 70s, Strange starred in an ongoing book in continuous publication through 1996, when his third volume was cancelled with no replacement. Unlike fellow hot-in-the-90s hero Ghost Rider, Strange got no ongoing revival in the 00s, although he was finally absorbed by the Avengers under Brian Bendis’s tenure (partially due to his participation in The Illuminati). 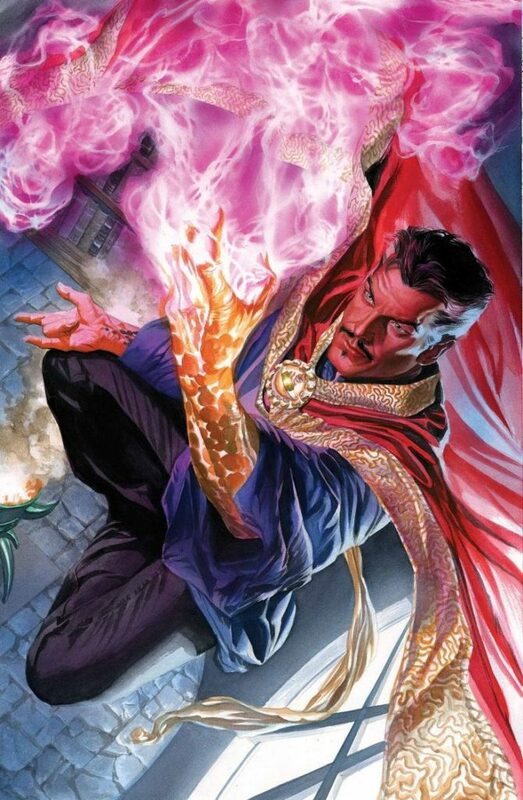 After playing a critical (some may say “starring”) role in Jonathan Hickman’s Avengers mega-story that began in 2013, Doctor Strange finally found his way back into an ongoing title from Jason Aaron and Chris Bachalo in the fall of 2015 in anticipation of his big screen debut in 2016. I’ve always had affection for the good doctor, but I did some foot-dragging on giving him his own guide due to his relatively low profile in past years. However, with his movie coming up this fall, it was finally time to attack his guide – no small feat, since he’s had over a dozen series and one-shots to call his own plus a starring role in most incarnations of The Defenders. The definitive, chronological, and up-to-date guide and trade reading-order on collecting Doctor Strange comic books via omnibuses, hardcovers, and trade paperback graphic novels. A part of Crushing Krisis’s Collecting Avengers Graphic Novels: A Definitive Guide. Last updated November 2018 with titles scheduled for release through July 2019. Doctor Strange has had several ongoing titles over the years collected in a variety of formats. 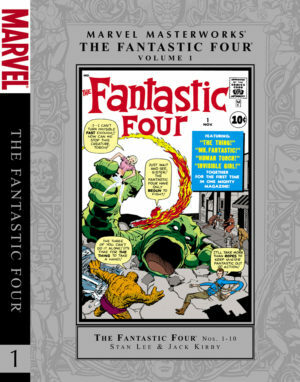 However, there are a few specific formats of books that cover large portions of this title, and I’ll cover those first – Essentials, Epics, Masterworks, and Omnibuses. Do you need a quick introduction with a few suggested reads? Head to my blog post announcing this guide.